So last night marked the return of my favorite competitive cooking reality show. Yep, Top Chef is back. I hate watching people go home during the first few episodes. I mean, we don't really know who they are and they haven't really had a chance to show the judges what they're capable of. It's kind of sad. So last night I cooked Paprika Chicken and settled down for my show. The 17 contestants arrived and were immediately taken to a quick-fire challenge in three parts. We were given little snippet interviews with just some of the contestants, which is always another bothersome issue in trying to remember which of the contestants I actually like right off the bat. The first part of the quick-fire was to peel 15 apples with a paring knife. The first nine to complete the challenge were safe to move on to the elimination challenger and the first of those nine would have immunity for the elimination. Next, the remaining 8 contestants had to cut said apples in a brunoise - little even square bits. Four would be safe. The final four in the quick-fire had to each make something with the apples. Two of the ladies cooked - one had scallops and one pork chops. The other two made salads. Now, I'm not one to knock a good salad and they did only have 20 minutes in which to make their dish, but 1. I've seen the judges criticize people for not actually cooking on Top Chef before, and 2. you're trying to convince them to let you stay and your best showcase of your talent is a salad?! The two salad folk were actually classmates, by the way, and the young lady was sent home. Then came the actual elimination. Each contestant had to draw a knife that listed a specific area of the Big Apple famous for a certain kind of food. There were two chefs per region, and like last year's showdown with classic dishes, the two with the same region were pitted against each other. The top dish of each pair would give that contestant a running for the winning spot of the challenge and the bottom dish would put them in the category of those under consideration of being sent home. Surprisingly, one of the top spots went to the non-classically trained Hawaiian who accidentally made a great Indian dish. The other two were Stefan, one of the only names I know thus far, who won the quick-fire and had immunity anyway (winner of the elimination as well) and the New Yorker who picked Little Italy. So, we've now got 15 contestants left and both Boulder chefs are still in the running. Now, if you're curious and can remember who everyone is, here's a Where are They Now post from Grub Street. 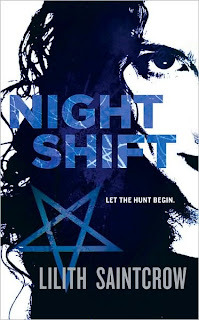 So yesterday I began reading Lilith Saintcrow's first Jill Kismet title, Night Shift. I wasn't on the ball at all, though, so I only got a third of the way through. Bad, Becky! I was doing so well reading a book a day. Ah well, I'll finish it today I'm sure. I'm not quite sure why I waited to read this one. I did buy it as soon as it came out and was super excited about it, but I think a combination of my total adoration for her Dante Valentine series coupled with not enough time in the world to read everything I want to get my hands on played a big part in this sitting on my bedside table for so long. But wait, you must be saying, if I liked the Danny Valentine books so much, how could I possibly wait to read more from Saintcrow? Well, because I was not sure if Jill would fill Danny's shoes for me. I know, I know, it was just enough apprehension to make me wait a bit longer. Plus, I'm not really one of those binge readers who has to read everything in the same genre all the time. In fact, I have to switch it up rather often so I don't burn out on a certain type of book. So Jill just had to wait a bit. I'm loving it, btw. Jill is every bit as strong as Danny and has her own special talents and issues. Waiting to see who will fill Japh's shoes - Jill's gotta have a love interest! Anway, Jill is a hunter. Her job is to help the police with any "unnatural" cases, mostly dealing with the hellbreed - demons and all. In the beginning of Night Shift, Jill is called in on a case where five policemen, all responding to the same call, were found torn to pieces. 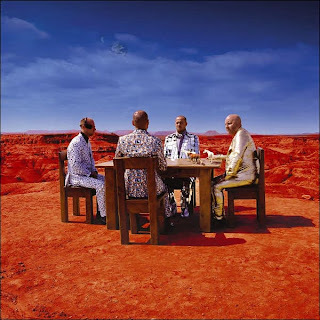 A sixth is left in critical condition. No one knows what has happened, but Jill can smell hellbreed all over it. Then a couple of weres who work for the FBI show up and tell Jill they've got a rogue on the loose. Apparently, after speaking with her hellbreed connection, one of theirs has been working with the were for reasons unknown. All Jill knows is that the two of them are wreaking havoc in her town and it's her job to stop them. See, totally living up to expectations. Urban fantasy at it's best. Not sure about the timeline on the books. The Dante Valentine series was WAY in the future but the world still resembled our own for the most part. I'm going to link to Saintcrow's website, but as of this morning it wasn't loading for some reason. I'll let you guys have the option of trying, though, if you want to learn more. Check her out here. And don't forget, tonight's TOP CHEF!!! Leave a comment here to enter and check back on Saturday the 15th to see if you've won (click the link to enter). The winner will be notified via e-mail as well if you've left me that option or if you have one registered with blogspot (and set to receive). Also, starting Saturday I will begin the last grab bag giveaway entry of 2008. I'll be giving away a pack of holiday romances to one lucky winner. So get your name in for this contest and remember to come back on Saturday to enter for your chance to win a pack of brand spanking new 2008 holiday romance titles courtesy of me. Book 3 and the mountain of books is no smaller! Yesterday I read Angela Hunt's The Face. No, it hasn't been on my bedside table all that long. In fact, the book was just released Nov 1. I was feeling guilty that I hadn't read it yet, though, and realized that reading only paranormal mysteries this week would probably burn me out. So I have to mix it up a bit and just grabbed. The Face is an interesting read for many reasons. First off, Angela Hunt is actually a prolific Christian author, something I knew going in but was only a little worried about. Mira picked up this title, however, so I figured it had to be either more along the thriller lines or the romance lines, and from the synopsis I knew it had to be thriller. The book does have a bit of a message to it. Ok, more than a bit, but it's not obnoxious or anything. Think of it more as a moral message rather than a biblical one. Plus the book got a pretty good review from PW before its release. The book deals with quite a few different elements and Hunt has obviously managed to juggle them like a pro. On the one end you have the medical aspects - Treacher Collins syndrome, facial implants, reconstructive surgeries... On the other, you have the CIA as a whole. And finally, there's the technical aspects. Sarah is a computer expert working on programs that require quite a bit of work for a layman to understand. Fortunately, Hunt has done all the work for us in that regard as she lays out the details in a way that even the most technically impaired person can understand with ease. Can you tell I'm not a Christian reader? I actually have no problem reading books with "messages," books that make you think about moral issues. My problem comes from, however, the fact that I don't want religion shoved down my throat (and I mean not one iota of offense to readers who DO read religious fiction, here). Readers like me, trust me that you don't have to worry here. In The Face, twenty-one-year-old Sarah Sims has lived her entire life locked away at a covert CIA facility in Spain. Born with a life-threatening case of Treacher Collins syndrome, the CIA picked up the tab for surgeries that would allow her to see, hear, and basically survive on her own. The result is a face that has been patched together and is difficult for even her coworkers to look at. Renee Carey was fifteen when her beloved older brother died - just two days after losing his wife and baby girl. Or so she thought. Just after her mother's death, Renee receives notice of a storage facility that her mother had been renting. While cleaning it out, Renee discovers a letter that suggests that her niece did not die in childbirth after all, but that she was taken in by a member of the CIA. She applies and eventually gets clearance to meet her long lost niece and is determined to help her to live a normal life and to give her the love and family support she's missed out on all these years. Sarah agrees to undergo a very experimental facial implant, but the project that she's been working on, and the case that has consumed her fellow workers at the facility has reached a level of dangerous proportions. Sarah herself, unknown to much of the outside world, may even become a target. So, thriller, yes. Story about acceptance and love, yes. Good read? Definitely. It was fast and basically all consuming. 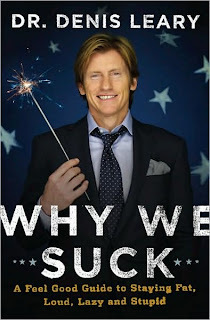 I read it in just a matter of hours and really enjoyed it. Wow, I didn't realize how much that Stephen King cover messes with your eyes! So, I'm sort of staying true to my attempt to chip away at the massive stack of books I've been hoarding. I did buy three more this weekend, though. Oops. Yesterday I read my very first Dirk & Steele book. My sister is in love with this series by Marjorie Liu. I gave her her first one and have bought her all the others since. When I expressed an interest in reading some of them myself, before sending them to her, I was immediately shot down. My orders were to send them to her so that she could read them first and then she would have our mom ship them back to me, and then I could ship them back after I was done. Not very cost effective, eh? Some say I should grow a pair and stick up to my sister. She is only 14 after all. I didn't know how quickly I would get to the books anyway so figured it would be just mean to make her wait that long for them. I'll have my shot at them next time I go home to visit. Anywho. I did get the latest one after said sister told me that you don't have to read the series in order. They're about a paranormal detective agency and each book is about a different couple. Some people reappear in other books, but essentially they can kind of be read as stand alones in any order. In The Wild Road, a woman wakes up in a smokey room with no memories. There is a not simply stating, "Run," pinned to her jacket and there are three dead bodies on the floor. She does run and ends up bumping into Lannes Hannelore, a man with a secret. Lannes is one of the last remaining gargoyles and he can't tell anyone out of fear that it will endanger himself and others of his kind. Lannes survived a horrific event and has closed himself off to everyone ever since. Now, however, he finds himself compelled to help this woman in spite of warnings from everyone else. 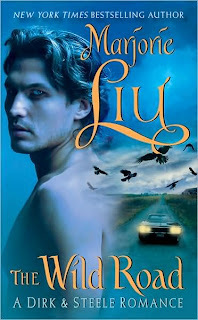 Wild Road is a steamy read with a great paranormal twist. The fairy-tale quality of this read definitely makes me want to steal the others from little sis asap. Until then, though, I'll have to keep pecking away books I own (and try not to buy anymore! 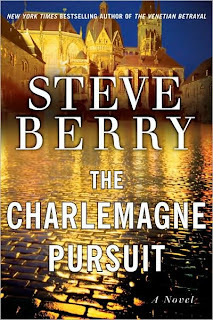 - aside from the new Jeffery Deaver and Stephen King, that is). So, if you've been curious about Marjorie Liu's series but afraid to start in the wrong place, your fears can be set aside. It seems there is no wrong place to start at all as long as you start somewhere! Bodies Left Behind by Jeffery Deaver - now, I thought he said he would not be doing anymore standalones? Not that I'm complaining 'cause I love all of his stuff! 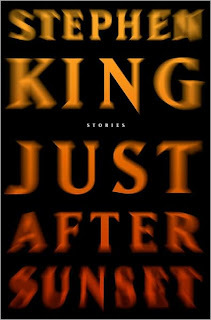 Just After Sunset by Stephen King - new short story collection from one of the best authors out there! I'm starting with some books that I feel I need to read for a second reason, and that is so that I can consider them for the big box o' books I'll be sending on to the junior junkies shortly. 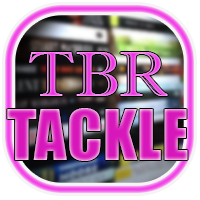 So I'll be reading a lot of urban fantasy and paranormal stuff this week and then will probably change to something else next week. 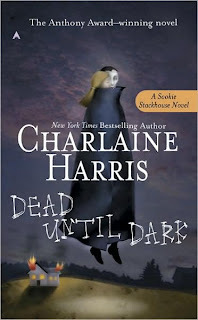 First in my pile of "Man it's sad that I haven't read that yet" books is Charlaine Harris's Dead Until Dark, first in the Sookie Stackhouse series. Yeah, yeah, vampires in Louisiana, I should have been reading this one since it popped up on shelves in 2001. As best I can tell, there are now 8 books in the series and multiple connected stories in various collections. You can look at the list on Harris's own website here. Unfortunately for my procrastinating and broke self, (a comment in two parts here) I've put off reading this series until after the show has debuted on HBO and I don't have HBO. What I have is a kind person who has recorded some eps for me to watch in the meantime until it comes out on DVD (c'mon OnDemand poc! I would totally pay $1 to "rent" eps on tv). So I have seen some of the show and have a bit of a preconceived notion about the books as far as characters and what may happen. Fortunately I'm finding that the show differs a bit so I'm still pretty surprised, and since I haven't even seen all the eps that have aired yet, I'll continue to be so. And since I did a post on the series just before HBO premiered it, you can read more about my general Sookie knowledge here. Hoping to get lots and lots read this weekend (how many times have I said that one before, right?) and I'll keep ya'll posted on my progress. Every now and then, there is talk amongst readers about whether they prefer series books or stand-alones. I think it's pretty much a non-issue as far as we readers are concerned, just a matter of curiosity. Throughout the years, I have heard some odd opinions about things readers do and don't like (a preference for whether a book is written in 1st or 3rd person - doesn't bother me and baffles the hell out of me when it bothers others, but... ) but this hasn't really been one of them. So why is it the topic of my discussion today, then? Well, because there are a few things about the series/non series issue that I wanted to point out. Just little interesting tidbits and a "new" trend that's resulting. First off, did you know that, at least in the mystery genre, series books seem to sell better? It seems that publishers and readers want more in regards to getting to know characters and continuing their adventures alongside them. I mean, it's great either way. Can you imagine Janet E. Stephanie Plum appearing in just one book? No! She's too vibrant a character and she's surrounded by too many others that we want to know about. But what's happening as a result is that some authors are being "asked" (maybe leaned on a bit more than that word would imply) to turn stand alones into series. The way some are getting around this, and the new trend that's been popping up, is linking characters. The books aren't true series, but a peripheral character in one book may become the main character in the next. I recently finished reading Bill Cameron's latest, Chasing Smoke. In Smoke, a detective called Skin Kadash is on leave from the pd while he undergoes cancer treatments and is called in to help on his former partner's current case. Cameron was part of 2007's Killer Year. His debut, Lost Dog, was released as part of the Killer Year group and was nominated for a Rocky (best mystery set in the LCC region) and a Spotted Owl (Friends of Mystery) award. Although I snatched up a copy of Lost Dog at LCC this year, it's been waiting patiently in my massive TBR pile! 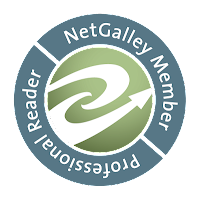 Anyway, Bill guest-posted over at Laura Benedict's blog last month and talked about his new release. He also mentioned that Skin was a side character in Lost Dog. Other authors who do this are, of course, Lisa Gardner and Iris Johansen. They tend to bring back main characters more than once, but if you've noticed, each seemingly stand alone usually has some connection to a core set of characters. Bill calls them related stand alones. I love this idea. One of my issues with series (if you can call it an issue) is starting in the middle. Or, more specifically, when you come across an author you've never heard of and you either don't know it's a series or you can't find the first one to start with. Many authors write in such a way that you can start pretty much anywhere and not feel completely lost. When I was 17, I started reading Faye Kellerman. Not knowing which to start with at that point, though, I began with book 3, Milk and Honey. Fortunately, I was intrigued without feeling like I was missing out on something and was able to continue the series in this hodge-podge manner (book 1 was actually out of print at the time). I wish more bookstores would take this into consideration when stocking titles, but unfortunately the big boxes don't. If a series is very established, you're less likely to find all of the books in stock. If there are just a few books out, you can probably still find book 1. Case in point, my sister has been reading the Dirk and Steele books by Marjorie Liu (she says I'll have to borrow them AFTER she's done even though I'm the one buying them). I had the latest for her and have been working backwards trying to get her the whole series. After trips to multiple stores and finally special ordering some, I've succeeded. Good luck finding them all on one trip to the same store, though! And, with reprints and new covers, it's not always so easy to decipher the print order anymore. A book could have come out in 1990 and show 2006 on the loc page thanks to a recent reprint by a new publisher. I am on the fence about what to post today. Do I post a review of Crichton, an homage to all his great books that I loved? Nah. You can find info on him pretty much everywhere right now. Do I post about the book I was going to post about before I heard about Crichton? Decided not to simply because I'm a bit miffed about my real work at the moment and so am having a hard time being excited about stuff in general (and thanks to the 100 people or so that I called last week, 95% of which missed their freaking deadlines!). So, I finally made up my mind and decided to do a sort-of cop out post today. Normally I like to post about things I've read. Things I can make a solid recommendation for because I have first hand knowledge that it's good. 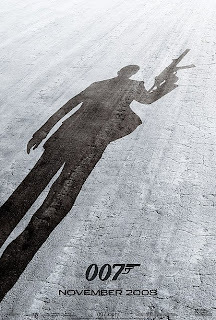 Today, I'm going to post about an upcoming title that's being touted as "in the style of Michael Crichton." This way I get to do a Crichton post without doing a Crichton post and it is a book that I am excited to read. 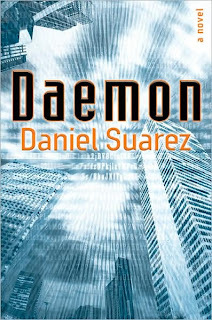 Originally self-published, Suarez's riveting debut would be a perfect gift for a favorite computer geek or anyone who appreciates thrills, chills and cyber suspense. Gaming genius Matthew Sobol, the 34-year-old head of CyberStorm Entertainment, has just died of brain cancer, but death doesn't stop him from initiating an all-out Internet war against humanity. When the authorities investigate Sobol's mansion in Thousand Oaks, Calif., they find themselves under attack from his empty house, aided by an unmanned Hummer that tears into the cops with staggering ferocity. Sobol's weapon is a daemon, a kind of computer process that not only has taken over many of the world's computer systems but also enlists the help of superintelligent human henchmen willing to carry out his diabolical plan. Complicated jargon abounds, but most complexities are reasonably explained. A final twist that runs counter to expectations will leave readers anxiously awaiting the promised sequel. Suarez's novel is sitting on my TBR shelf, waiting expectantly for me to read it. I got it a bit by accident and seriously hope it lives up to the expectations. I'll definitely keep you guys posted on it. In the meantime, it's off to decide how best to nag the 95 people yet again. What the heck is going on these days? So last week saw the passing of both Tony Hillerman and Elaine Flinn. Hillerman passed on October 26 and Flinn just the day before. Hillerman, author of the Leaphorn and Chee series (amongst others), was 83. 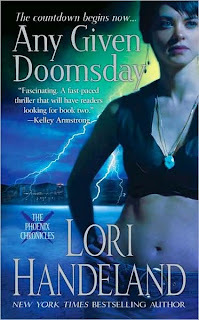 Flinn was the author of the Molly Doyle series. Then, October 31, Pulitzer winner Studs Terkel passed away. He was 96. Now, today I find out that Michael Crichton, 66, passed away yesterday. The world will be a sadder place without them all. You may recall that I recently attended the Neil Gaiman reading hosted by the Boulder Bookstore as part of their recent anniversary celebration. While there, Gaiman presented clips of the upcoming film based on his children's book Coraline. I attended a movie this weekend that shall remain nameless because it stunk to high heaven. The highlight of the movie, though, was the official teaser trailer for Coraline. I'm currently (although by the time this is posted will be finished with) reading Gaiman's Neverwhere and thought it would be fun to go ahead and post the teaser for you guys to enjoy as well. 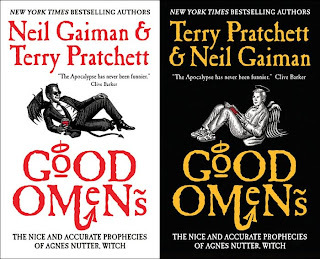 Remember, too, that you can get sneak peaks of Gaiman's novels at Harpercollins.com. Here's the link to Gaiman's page there. 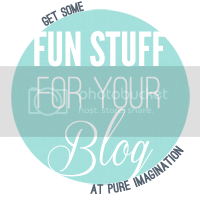 So, I wanted to post something today about the word "boring" in terms of books. First let me preface by saying that everyone has different taste and considers different things to be entertaining. I get that. I also get that there are some legitimately BORING books out there, I am in no way saying that everything ever written is worth reading. So, that being said, let's get on with BORING. I took a film history course in college and I seem to recall my professor talking about his distaste in hearing people describe movies as being boring. If I remember correctly, it was in regards to "classics" versus modern films. At the time I hadn't given it all that much thought, and frequently used the word myself. It, and he, got me thinking and I, in turn, adopted his view in this matter. Today, I have transferred this growing irritation with the word to books. It bothers me to no end to hear someone call a book boring. I think because, in terms of the books I've heard it used on, it's more of a testament to the quality of the READER rather than the quality of the book itself. Now I don't want to offend anyone, I merely want readers to consider this when saying a book is boring. Why exactly do you find it boring? Most often, when I hear people say this, it's because they feel the book is moving too slowly. It's okay to dislike a book for whatever reason, but I wish that more people would express these reasons rather than throwing it into the catch-all boring category. I think this is a direct result of the current trend for fast and immediate video-game-like stimulation. It's sad to think that readers no longer have time for character and plot development in the books that they read. They want constant action and edge-of-your-seat, three page chapters. Too much description loses their attention too quickly and the book is labeled "boring." I read my fair share of fluff - quick reads that require no more thought than turning the next page. Simple entertainment for the sake of letting me forget what is going on around me for a few hours. But, I don't want everything I read to be of a lesser quality simply because I can finish it quickly. I fear that the number of ADD readers out there who call the quality stuff boring may soon get their way. I don't want publishers to believe that this is the kind of book that the public desires. I don't think, in the end, that readers would be all that happy with the types of books they would have to choose from either. 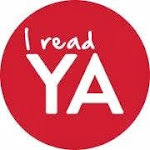 So far, this doesn't seem to be the case, but I ask you as a reader to begin to look at what you read and enjoy, and what you don't, and ponder what exactly it is you dislike about a book. Reconsider that book that you gave up on because you simply didn't have the time for it. You might find, in the end, that it's a much more rewarding read than you expected. I guess it goes back to leaving your comfort zone every once in a while, specifically in terms of trying something a little heftier out for size. Now don't run out and buy some critically acclaimed piece of heavy literature that looks impressive on your bookshelf, but if you find that you don't have the time or inclination to read, say Stephen King, or The Historian, try again. It might take a few books before you get the hang of it, but I think it's worth it in the end to have the occasional not so simplistic read on your list. And try to scrap the word boring from your vocabulary, unless it's in terms of watching the stock ticker on tv (not so boring these days, either, is it)! Alright, off my high horse. 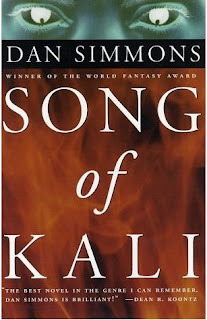 So I literally just finished reading Dan Simmons' Song of Kali and it was fantastic. I do own Ilium and Olympus, but I've discovered that I'm just not much of a science-fiction reader. I've tried, but I haven't yet been able to expand into the genre. I'm sure I will eventually, and those books will be waiting for me when that day comes. Until then, I have all of Simmons' mystery and horror to get me through. My first Simmons experience was with The Terror (winner of the IHG award for best novel this year!) a horror tale wrapped around the actual story of the failed northwest passage expedition of 1845. It's a doorstopper of a book, but well worth the read. I especially liked the combo horror and historical read. Song of Kali was a recent purchase I made looking for more horror reads for October. The book itself comes with little in the way of a synopsis, but I had come across a mention of it elsewhere (couldn't possibly tell you where at this point) that caused me to give it a little more attention. It was great. I've been on a hunt for more 70s-80s horror and this one falls smack dab in the middle of that category. Published in 1985, the book has been back in print since the early 90s. 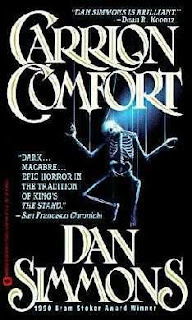 It won the World Fantasy Award after its release and marked the beginning of a big winning streak for Simmons - his following title, Carrion Comfort won the Stoker after it's release in 1989 and then Hyperion won the Hugo in '89 as well. You can read more about Simmons' wins here. In Song of Kali, poet Bobby Luczak is sent to Calcutta in search of a poet who has been missing and presumed dead for eight years. Reports suggest that not only may the man still be alive, but that there are unpublished works to be found as well. Bobby's wife and infant daughter accompany him on his trip, but Calcutta is by no means tops on the list of family destinations in the 1970s. Luczak begins to suspect that the reports may be part of a scam, but the truth is far more disturbing. Warning to today's horror fans, Song of Kali is slower to start than say, Richard Laymon. Sticking it through is incredibly rewarding, though, and I highly recommend the read. Unsettling at best, this book will stick with you long after you put it down. Up next for Simmons is Drood, another doorstopper due out in Feb. So, I started reading the fifth and final book in my Halloween horror binge last night. It is Song of Kali by Dan Simmons. The book won the World Fantasy Award in 1985 when it was released. I'm not too far in so I'll post about it later next week. Last night we had a good bit of trick 'r treaters at the house. My other and his friend went out so I was alone watching horror movies and handing out candy. I watched Cold Creek Manor, House of Wax, and then took a break for The Soup before cracking open my 2008 Halloween horror buy (yes, I have to buy a new horror movie each year on to watch on Halloween). This year's purchase was Shiver (Eskalofrio), a Spanish movie directed by Isidro Ortiz. One of the producers, Alvaro Augustin, also produced such films as Transsiberian, The Orphanage, and Pan's Labyrinth. 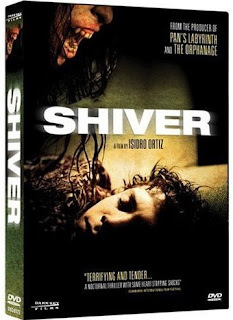 In Shiver, Junio Valverde plays Santi (also plays Santi in Devil's Backbone) a kid who suffers from an allergy to sunlight that forces his mother to move to a small village in northern Spain. The village sits in the mountains and gets significantly less sunlight than the place they were living, so Santi is able to go out during the day and be a normal kid. When a classmate sees something in the woods, Santi and two other kids end up trekking into the woods to find it. One boy ends up dead and Santi is the suspect. DNA testing reveals that he was not the one to kill the boy, but then another man is killed and Santi happens to be nearby yet again. But this time Santi gets a good look at the killer and no one believes him. I thought this was a great horror flick. It's suspenseful and the acting is great. There's also a nice little twist at the end that could be considered somewhat predictable, but worked for me.